This enormous water feature can’t help but make a statement. 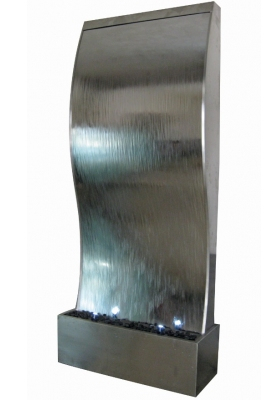 Carefully contoured to make the most of the spotlights at the bottom, this beautiful flowing water down this feature brings relaxation to wherever it is placed. The LED spotlights allow this water feature to be enjoyed no matter the time or place, and can be placed in low-lit areas. Please Note: We recommend more than one person moves this water featuure, as it is very heavy.